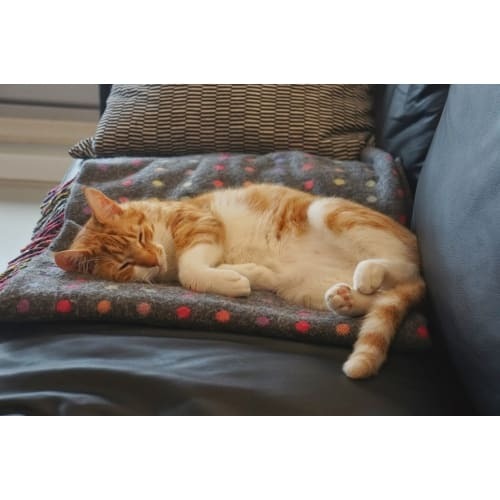 Jackson is an 8 year old male with a sweet nature and gloriously colourful vibrant orange fur. A very sweet and friendly cat, Jackson can sometimes be a bit tentative around new people, but he is easily reassured after being stroked. 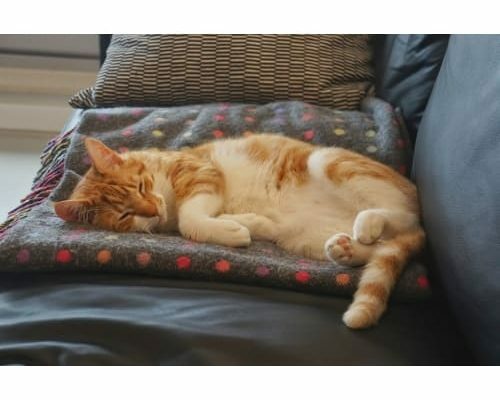 He is a very sociable cat and very laid back; finding comfy spots to doze in is a favourite habit of his, as you can see from his picture, though he does also enjoy the occasional trip outside, and will need a safe garden in his new home. Being such a gentle boy, Jackon was able to share space with children in his previous home with few problems. However because of his laid back nature, he does prefer a quiet home with a slower pace. Jackson is an all round great cat, and anyone would be lucky to have him napping by their side on the sofa. If you are interested in giving a new home to Jackson, please get in touch with the owners-keepers today. Pets can be listed for adoption by private individuals, animal charities or voluntary groups, and each will have different contact preferences and adoption procedures.